This month it's all about the well-being of your team—we've been working hard to provide you with even more tools to manage your health benefits plan on Collage. Note: The following features are only available to companies who choose to sync their health benefits plan with Collage. If you want to start syncing your benefits, please speak with your account manager or reach out to us via live chat. In addition to having a high-level overview of all benefits enrolments, you can now view further information on each employee. This includes employees' coverage details, relevant personal details as well as spousal and dependent information. To access additional details, simply click on employees' names from the Benefits Enrolments table of your benefits module. You will find the new 'Enrol Employee' button under the Benefits Enrolments tab of your benefits module. After you enrol an employee in benefits, they will be asked to provide additional details to complete their enrolment. Once it's done, the insurance company will be able to process the new enrolment on their side. 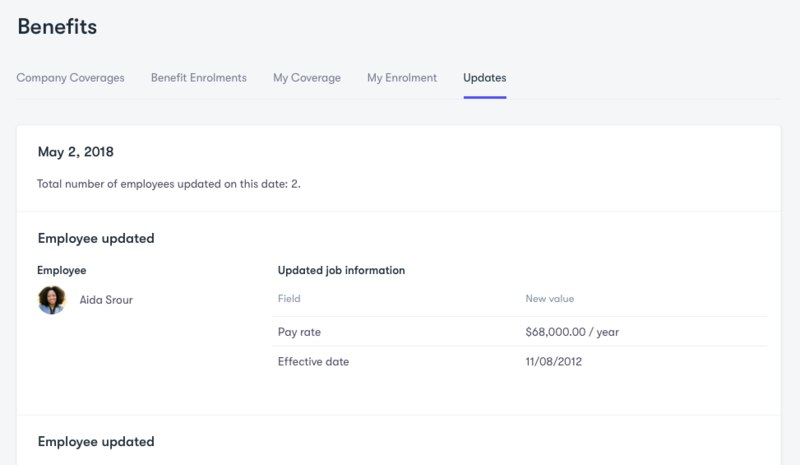 Similar to the Payroll Updates report, we added a new Benefits Updates report to give you more visibility and help you stay up-to-date with any changes employees make that are related to benefits. You can find it under your benefits module or under the reports section of the platform. You will also receive a daily email digest summarizing the changes. Additionally, you can give a permission to access the report to any employee under your roles & permissions settings. Please note though that it includes sensitive data. 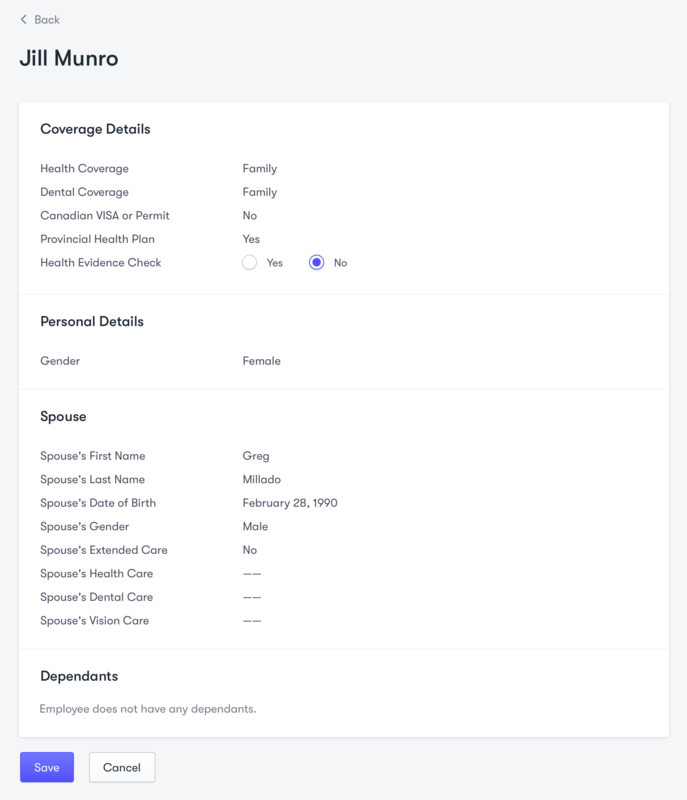 Speaking of roles & permissions, there is also a new role called Benefits Admin that gives a person full data access to your benefits module. That also allows them to view any employee's benefits enrolment information as well as enrol employees in benefits. There are two new fields required to be filled out during the benefits enrolment process: "Are you in Canada on a work Visa/Permit?" and "Are you covered under your Provincial Health Plan? ".